Here, in their own words, such famous jazz musicians as Louis Armstrong, King Oliver, Fletcher Henderson, Bunk Johnson, Duke Ellington, Fats Waller, Clarence Williams, Jo Jones, Jelly Roll Morton, Mezz Mezzrow, Billie Holiday, and many others recall the birth, growth, and changes in jazz over the years. 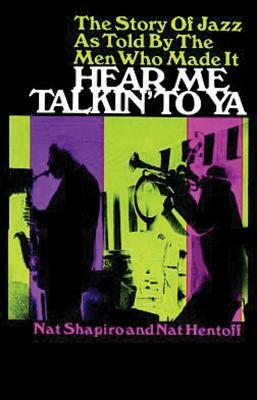 From its beginnings at the turn of the twentieth century in the red-light district in New Orleans (or Storyville, as it came to be known), to Chicago's Downtown section and the Original Dixieland Jazz Band and Chicago's South Side to jam sessions in Kansas City to Harlem during the Depression years, the West Coast and modern developments, the story of jazz is vividly and colorfully documented in hundreds of personal interviews, letters, tape recorded and telephone conversations, and excerpts from previously printed articles that appeared in books and magazines. There is no more fascinating and lively history of jazz than this firsthand telling by the men who made it. It should be read and re-read by all jazz enthusiasts, musicians, students of music and culture, students of American history, and other readers. "A lively book bearing the stamp of honesty and naturalness." -- Library Journal. "A work of considerable substance." -- The New Yorker. "Some of the quotations are a bit racy but they give the book a wonderful flavor." -- San Francisco Chronicle.